Every downtown needs a movie theater people can walk to from their apartments. New Haven has an excellent one in the Criterion Cinemas, located just off downtown’s nightlife destination of Crown Street, across from the Temple Street Garage. Go to this nine-screen theater—which shows indies and classics along with popular Hollywood first-runs—you’ll be happy to never drive to a suburban multiplex again. From The Audubon New Haven, it’s a 16-minute walk. But what if we told you there’s another place to see movies downtown that rivals the best arthouse theaters? Better yet, what if we added that the movies there are free? And that it’s even closer to our New Haven apartments? You might guess that such a movie theater doesn’t exist—and technically, you’d be correct. Whitney Humanities Center isn’t actually a movie theater. It does, however, have a cozy wood-paneled auditorium where movies are regularly shown. And it doesn’t charge admission. Plus, it’s a seven-minute walk from our apartments. Free movies near our New Haven apartments? Sure. So, what is this place? The Whitney Humanities Center is foremost an academic building at Yale University. It’s home to Yale’s Humanities Program and the Yale Film Study Center. 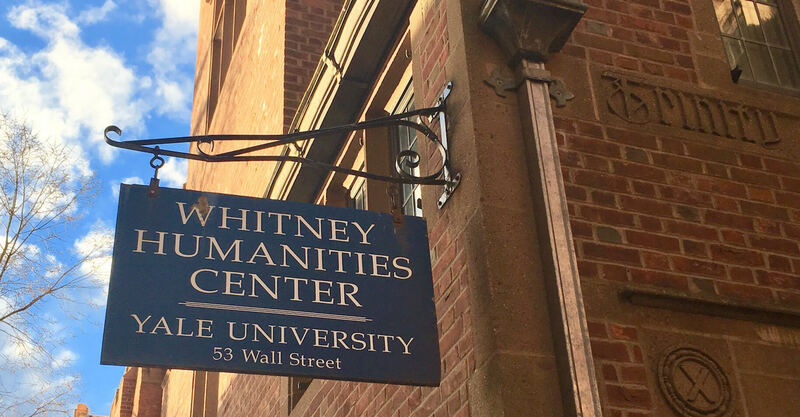 For movie lovers in New Haven, however, Whitney Humanities is best known as the host of several film series that are open to the public. Most happen under the umbrella Films at the Whitney, which puts on special screenings, film festivals and talks by filmmakers. One series not to miss is Treasures from the Yale Film Archive. This year-round program shows movies from Yale’s collection of 35mm prints—that is, projected from actual film. For cinephiles and film preservationists, that’s hugely significant. But you don’t have to be a film scholar to appreciate movies in analog format. Or to see movies on a big screen that you usually stream at home. Past screenings have included classics by Hitchcock and Bergman, along with more recent films. Another source of screenings is the Yale Film Society, a student-run film appreciation group. You’ll find a bit of everything here: classics, foreign films, documentaries, and occasional first-runs. Since it’s led by students, this series runs only when school is in session. If you’re interested in documentaries, another series worth a trip from all New Haven apartments is Indie Lens Popup. This program features selections from the PBS show Independent Lens. Note that some of these screenings are in another building, Linsly-Chittenden Hall. That’s on Yale’s Old Campus, an a 17-minute walk from our apartments at The Audubon New Haven. From The Audubon New Haven, the Whitney Humanities Center is three blocks away. The center is located on Wall Street, off Church Street—a stretch of downtown where office towers, law offices, banks, and courthouses meet the Yale campus. The building is also on the edge of the Whitney-Audubon District (A.K.A. the Audubon Arts District), home to community art schools, shops, restaurants, and The Audubon New Haven. To find the schedule, search the Yale Calendar of Events or follow Films at the Whitney. See you at the movies!